Northern Lights is a light-art piece inspired by the mesmerising experience of aurora borealis, the spectacular and poetic natural light phenomenon that occurs in the sky of the northern hemisphere. 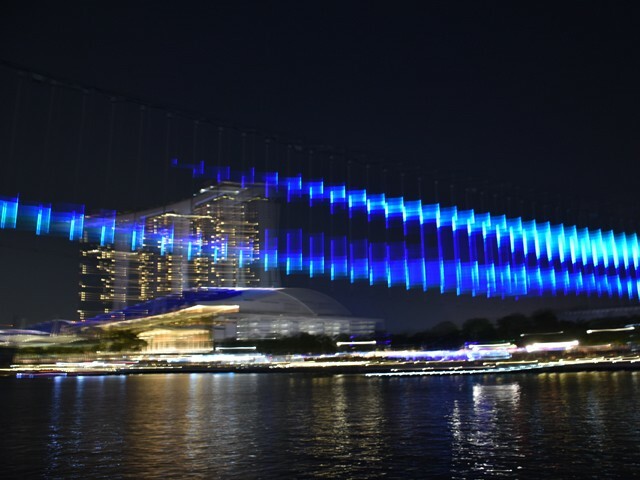 During March 2017 Northern Lights was shown at Marina Bay Waterfront, invited by Mr Randy Chan the curator of iLight Marina Bay Festival 2017 edition. Characterised by advanced architecture and high-tech ambiance in a hot and humid equatorial climate, Singapore is just so completely the opposite of Nordic environment. For me, this was a perfect setting to stage a bit of northern sky in this unique ambiance, where this phenomenon would never appear in its natural form. Northern Lighs was realized in collaboration with Amsterdam Light Festival.